Private fabulous views including woodland reserve. Property 13: Private fabulous views including woodland reserve. Cosy spacious Chalet Experience. Beautiful views. Property 19: Cosy spacious Chalet Experience. Beautiful views. Hanmer Time - the coolest holiday rental in Hanmer! 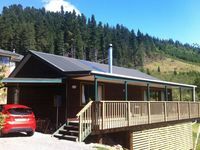 Property 23: Hanmer Time - the coolest holiday rental in Hanmer! This is the stand alone, andquot;Drive Cottageandquot; . Property 37: This is the stand alone, andquot;Drive Cottageandquot; . 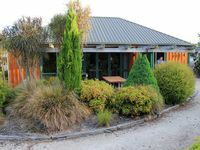 Property 44: Mound Ridge Farmstay, Great views over Waipara, peaceful spot and private spot.. Peaceful country cottage with stunning rural views - no hidden costs. Property 49: Peaceful country cottage with stunning rural views - no hidden costs. Cosy little cottage with everything we needed plus lots of thoughtful little touches. We have stayed here multiple times as it ticks all the boxes for our family of four. With two children (3, 7) we have lots of room to explore will Conical Hill on your doorstep, town a short drive or leisurely walk away and all the amenities in the house if you just want to stay put and enjoy the view. We look at this as our home away from home and can't wait to come back soon.